Compact crossover SUVs are one of the hottest segments of the new car market — currently on a record sales pace. 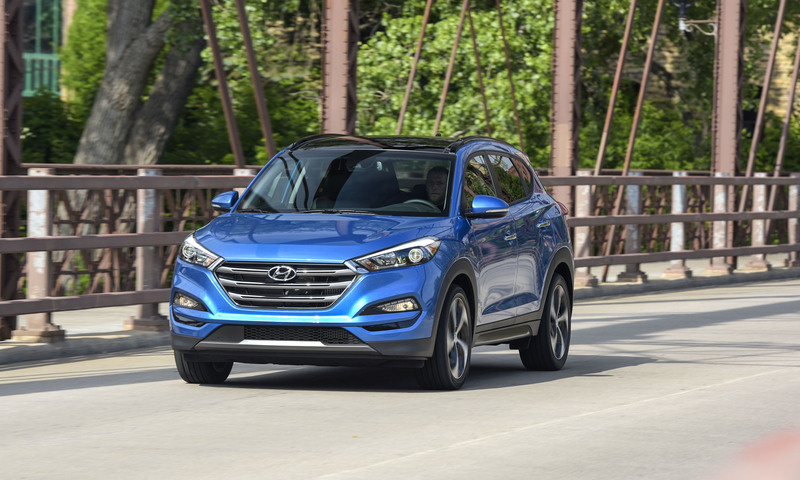 In fact, the top five best-selling SUVs for the first half of 2015 are compact crossovers, and Hyundai has redesigned the 2016 Tucson with an eye to earning a bigger piece of that pie. The new Tucson is improved on all fronts with a new design, more efficiency, more power and new technology to better compete with class leaders such as the Honda CR-V, Ford Escape, Chevrolet Equinox, Toyota RAV4 and Nissan Rogue. 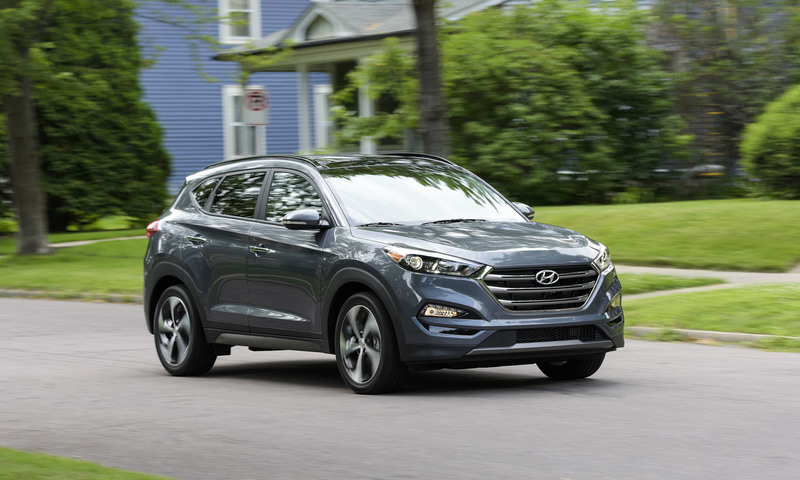 The new exterior design is a bit more conservative than the outgoing model, yet manages to be sporty and refined enough to give Tucson a more upscale presence. The large hexagonal grille ties the new design to Hyundai’s Sonata midsize sedan and the popular Santa Fe midsize crossover, while the integrated rear spoiler, angled headlights, sleek roof rails and available 19-inch wheels add a sporty vibe. Hyundai describes the new design as Fluidic Sculpture 2.0, which debuted on the 2015 Genesis sedan. 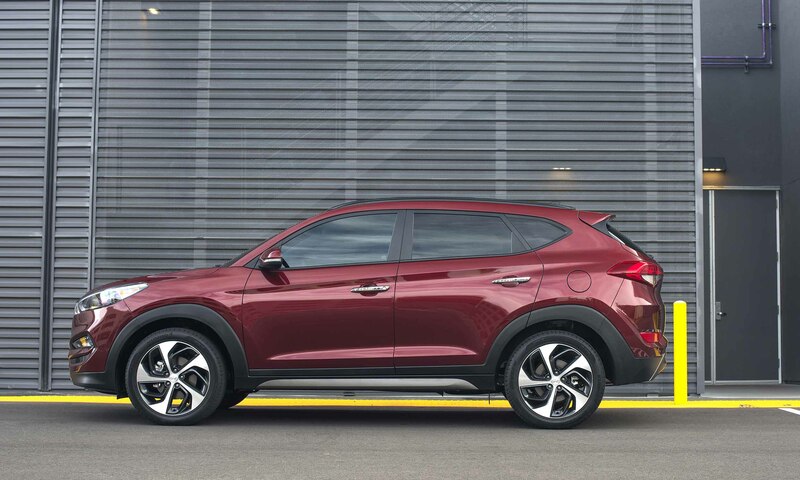 The 2016 Hyundai Tucson is offered in four trim levels: SE, Eco, Sport and Limited. 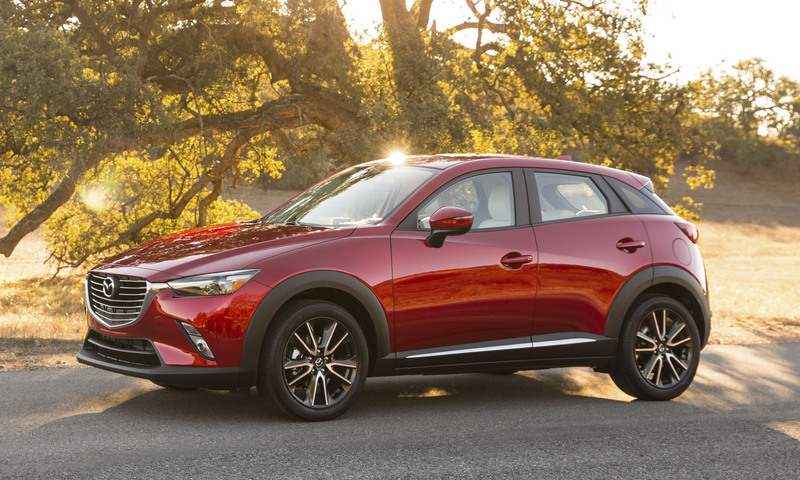 All trim levels are front-wheel drive or available with optional all-wheel drive at an additional cost of $1,400. 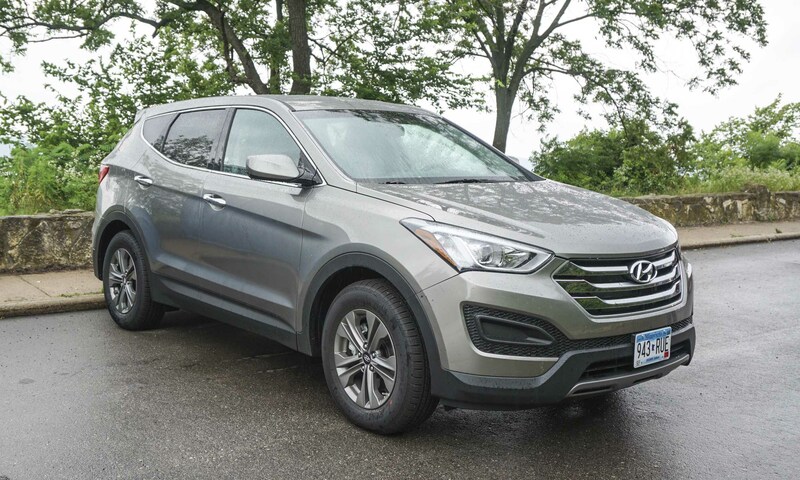 The Tucson SE base trim starts at $22,700, motivated by a 164-horsepower 2.0-liter 4-cylinder engine combined with a 6-speed automatic transmission with SHIFTRONIC manual-shift mode. Standard equipment for the SE is extensive, including Drive Mode Select, 17-inch alloy wheels, projector headlights with LED accents, LED daytime running lights, a 6-way adjustable driver’s seat, steering-wheel mounted audio and Bluetooth controls, 4-spoke tilt and telescope steering wheel, Bluetooth hands-free phone system with voice recognition and 5-inch color touchscreen with AM/FM/SiriusXM/CD/MP3 audio system with 6 speakers. Standard Safety Equipment includes Electronic Stability Control with Brake Assist; traction control; driver and front passenger advanced airbags; driver and front passenger seat-mounted side-impact FR (Thorax) airbags; and a rearview camera. Designated as the fuel-efficiency leader of the model lineup, the Eco starts at $24,150 and gets power from a turbocharged 1.6-liter gasoline-direct injection 4-cylinder combined with a 7-speed EcoShift Dual Clutch Transmission. 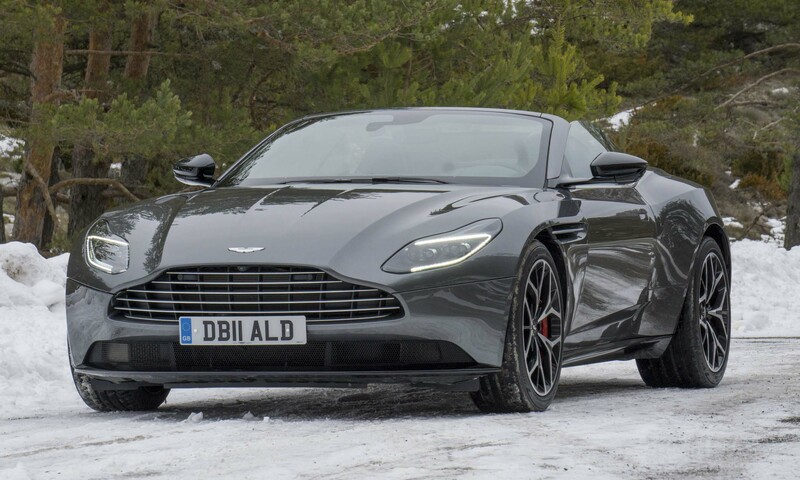 Additional standard equipment includes front fog lights, turn signal indicators in outside mirrors, premium front and rear fascias, premium side sills with metal paint, roof rails, an 8-way adjustable power driver’s seat and power lumbar support. 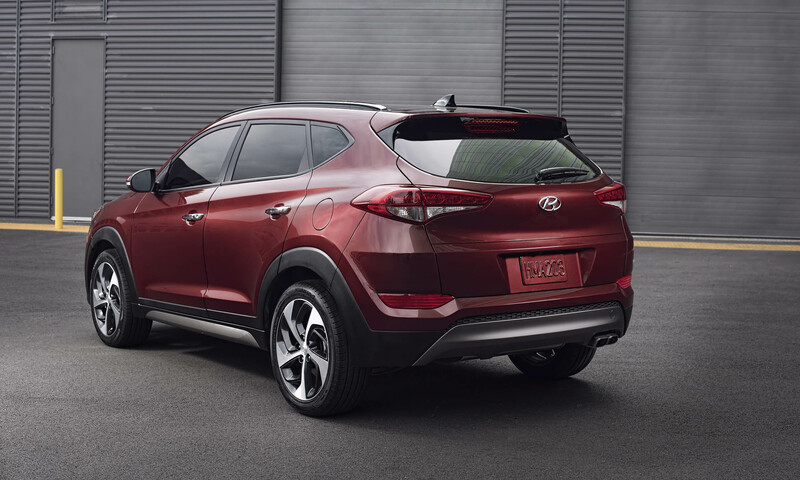 Starting at $26,150, the Tucson Sport adds luxury and technology including heated front seats, a leather-wrapped steering wheel, a leather-wrapped shift knob, 19-inch alloy wheels, a Smart Power Liftgate with auto-open, blind spot detection, lane change assist and rear cross-traffic alert. 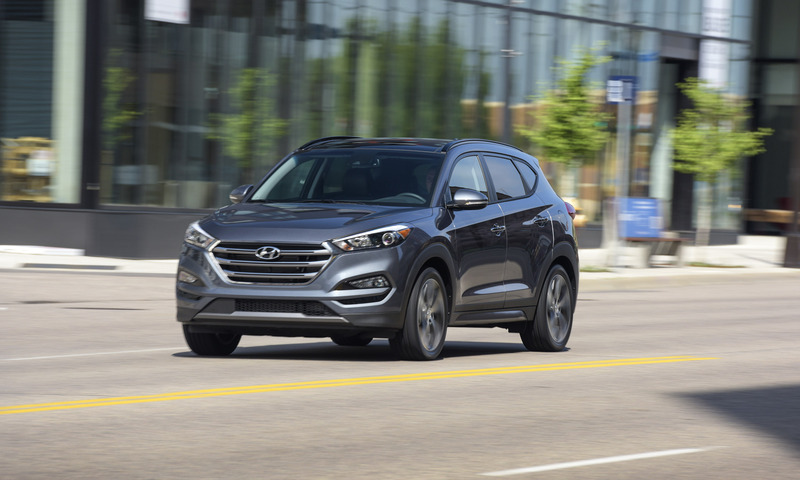 Hyundai expects 40 percent of Tucson buyers to choose the top-level Limited, which starts at $29,900 with standard equipment that includes LED headlights and taillights, a chrome grille, leather seating surfaces, leather-covered instrument panel, leather-covered driver’s side console side panel, dual-zone automatic climate control, Blue Link 2.0 and an 8-inch color touchscreen with Premium audio system and navigation. 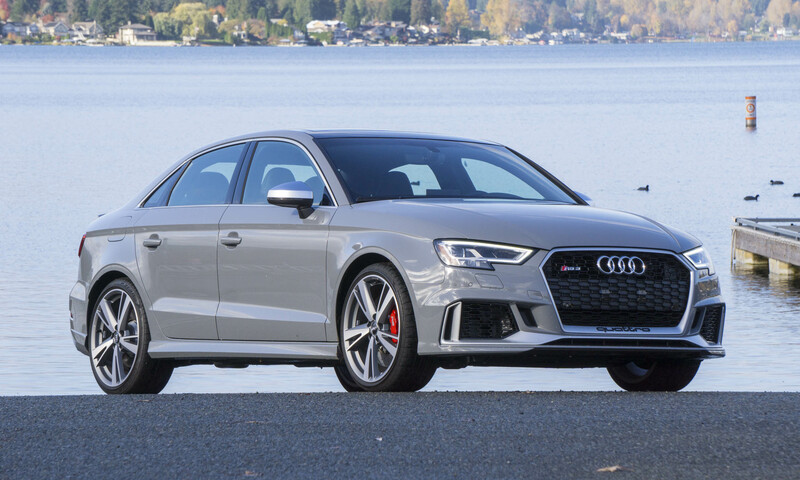 Optional equipment includes high-intensity discharge headlights, dynamic bending lights, a panoramic sunroof, ventilated front seats, heated rear seats, an electroluminescent gauge cluster, lane departure warning, automatic emergency braking with pedestrian detection and backup warning sensors. 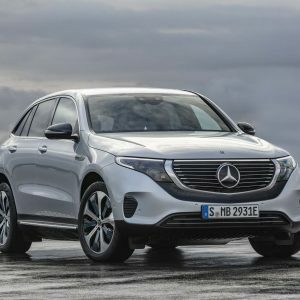 The big news under the hood is a new 1.6-liter turbocharged direct-injection 4-cylinder engine that powers the Eco, Sport and Limited trim levels and replaces the previous 2.4-liter engine. 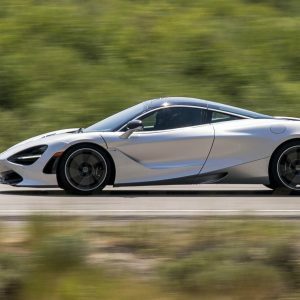 The new engine produces 175 horsepower and 195 lb-ft of torque, with peak torque available at only 1500 rpm, combined with a new 7-speed EcoShift dual-clutch transmission. The Eco trim receives specific engine mapping to maximize efficiency and a dedicated 17-inch wheel and tire package, enabling the FWD version to achieve EPA ratings of 26 mpg city / 33 mpg highway / 29 mpg combined, which is a 5 mpg improvement over the previous generation 2.4-liter engine. The Sport and Limited FWD variants have mpg ratings of 25/30/27, which is a 3 mpg improvement over the previous engine. 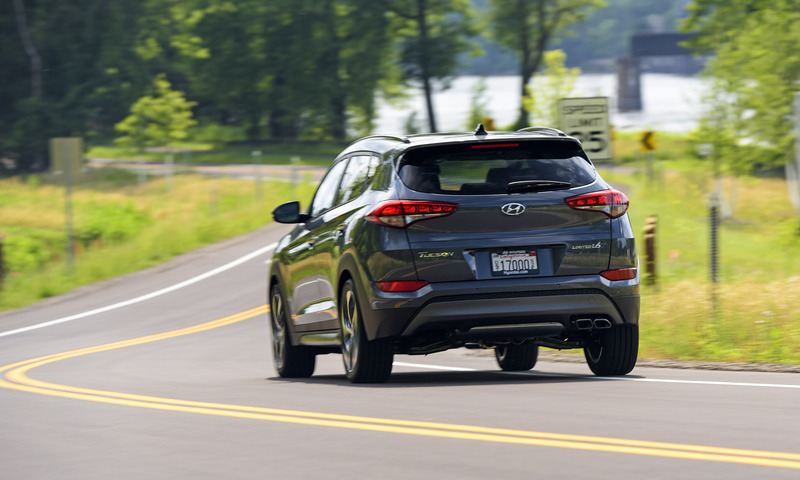 All four Tucson trim levels are available with all-wheel drive, which includes Active Cornering Control to automatically transfer torque to the wheels with the most available traction. To improve cornering in slippery conditions, the system brakes the inside rear wheel and delivers more power to the outside rear wheel for a torque-vectoring effect. 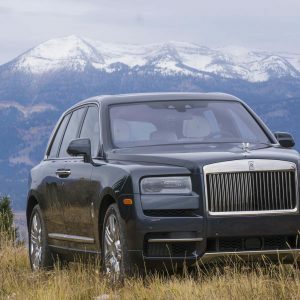 The driver may select AWD lock for off-road or very slippery conditions to split torque between the front and rear wheels. Hillstart Assist and Downhill Brake Control help the driver in steep conditions. The 2016 Tucson is 3 inches longer, 1.1 inches wider and rides on a 1.2-inch longer wheelbase than the previous model for more interior volume including more than 5 cubic feet of additional cargo capacity. Much like the exterior design changes, the new interior design takes on a more refined and upscale look. The center stack is less cluttered and more integrated into the overall flow of the dash, with controls that are intuitive and easy to use. The useful center console has two cupholders and additional space in front of the shifter to place small items. 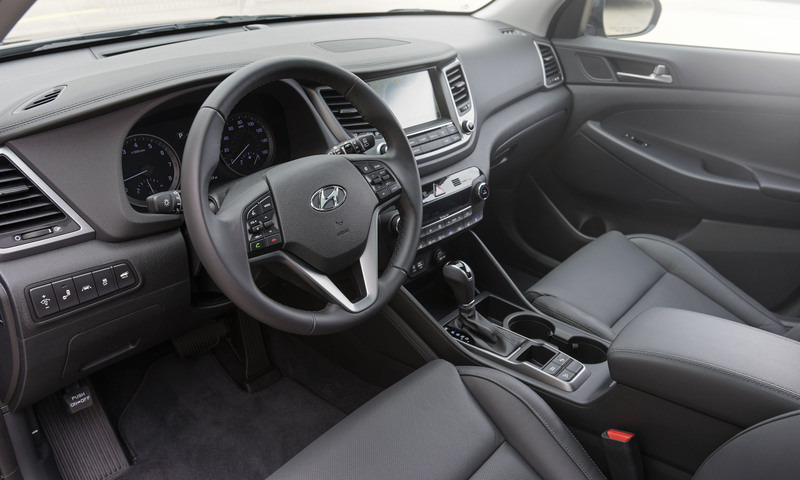 The leather-covered front seats in the Tucson Limited are particularly comfortable, and rear-seat passengers can recline the seatbacks up to 37 degrees. In addition to increased cargo space, the liftgate opening has been enlarged for improved access, and the dual-level cargo floor increases versatility. 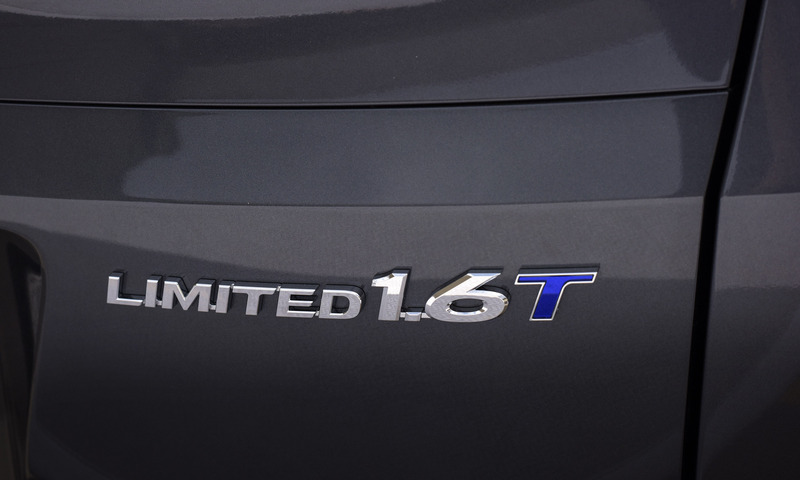 Sport and Limited trims include a power auto-open liftgate for hands-free access. The new Tucson chassis uses more than 50 percent advanced high-strength steel compared to 18 percent for the previous model, along with structural adhesives and hot-stamping for a much more rigid platform. 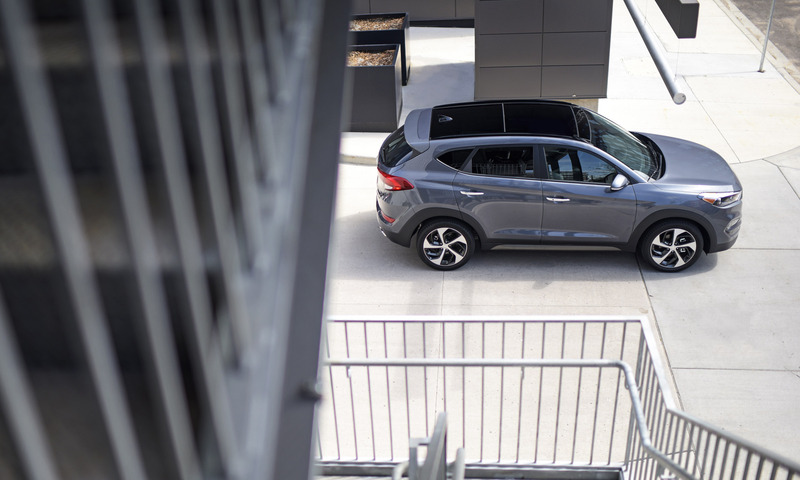 Stiffer front and rear suspension and revised steering help the new Tucson feel more stable and responsive. Drive Mode Select allows the driver to tailor steering effort, transmission response and engine response to personal preferences or driving conditions. Improved aerodynamics and additional sound insulation also make Tucson quiet on the road. 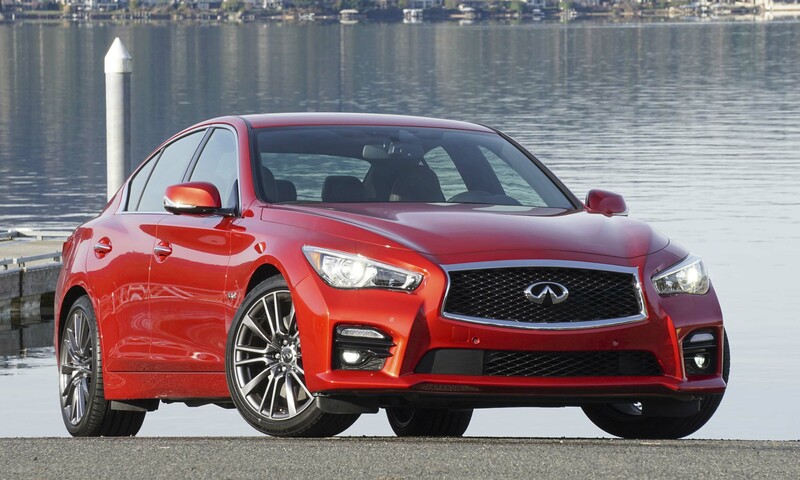 The new 1.6-liter powertrain performs well, delivering oomph when needed and efficiency at other times. With peak torque available from 1500 rpm, acceleration is brisk from a standstill and readily available for passing. The 7-speed dual-clutch transmission is both fast and smooth with virtually no power interruption on full-throttle shifts and quick response in manual-shift mode. Drivers can use Drive Mode Select to move the balance from power to efficiency as needed. 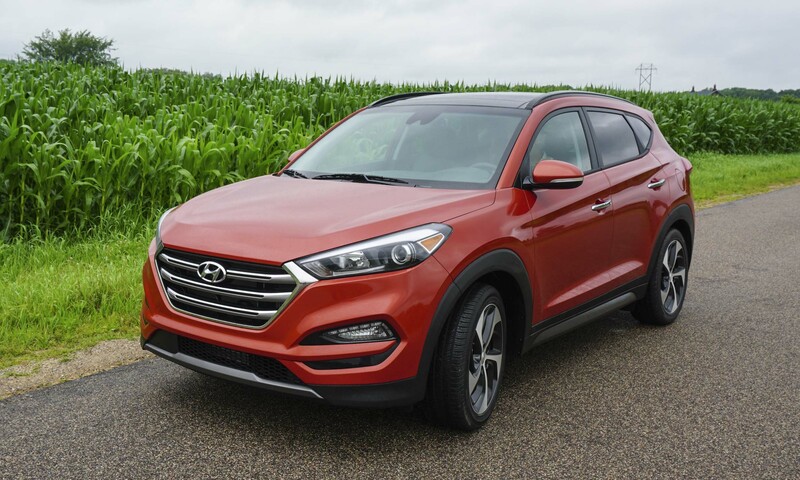 The Tucson SE is down on power with the standard 2.0-liter engine, but Hyundai expects 75 percent of buyers to opt for either Eco, Sport or Limited trims with the 1.6-liter engine. 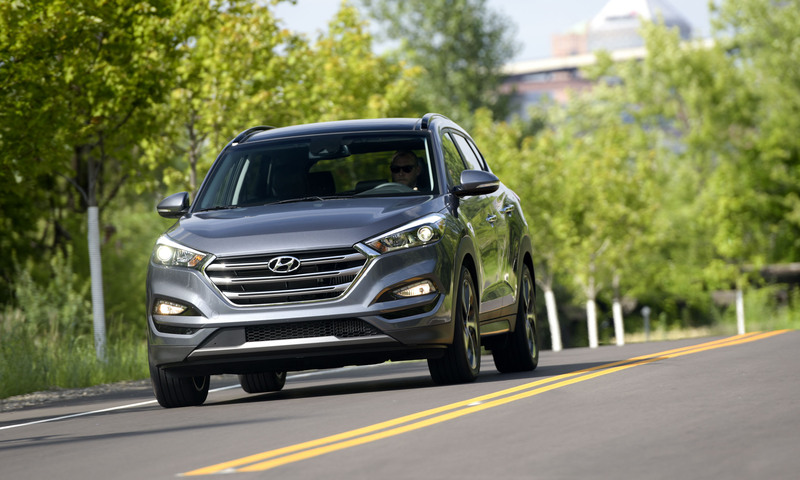 Hyundai has improved the Tucson in nearly every way to compete with the best in the hot compact crossover segment with great design, refined interior and a powerful yet efficient new powertrain. 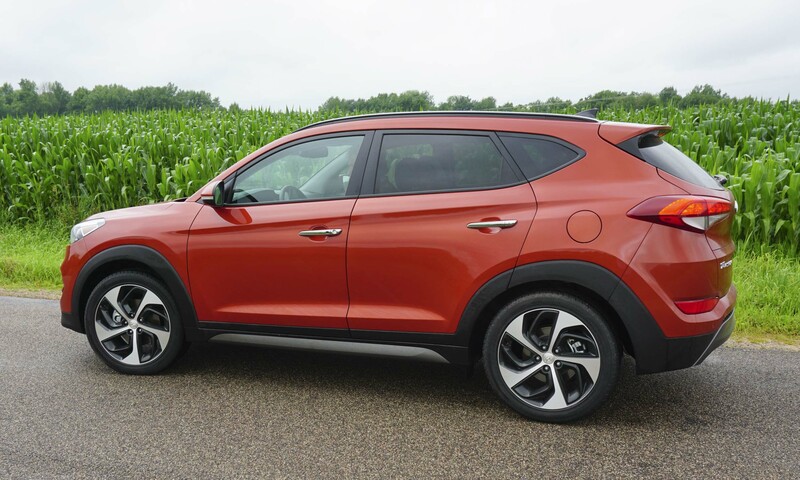 The market is filled with familiar names and safe choices, but if you’re in the market for a compact crossover you owe it to yourself to consider the Tucson. 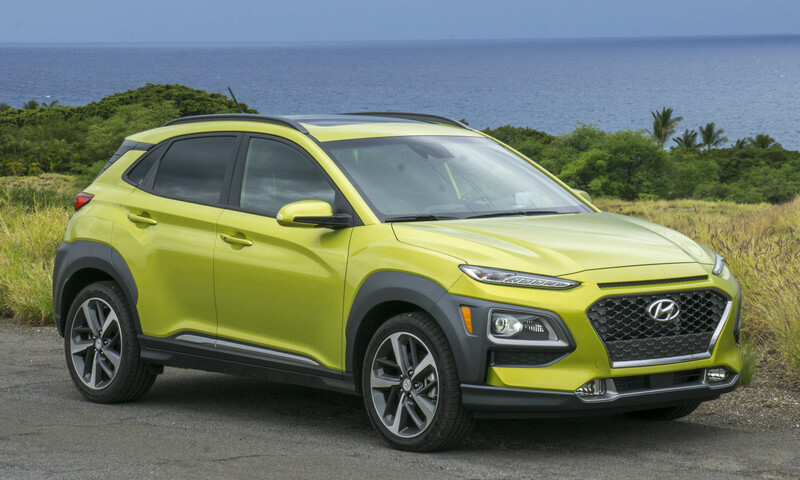 Hyundai built its reputation on delivering great value for the dollar, and they continue to add style and refinement to enhance the proposition. 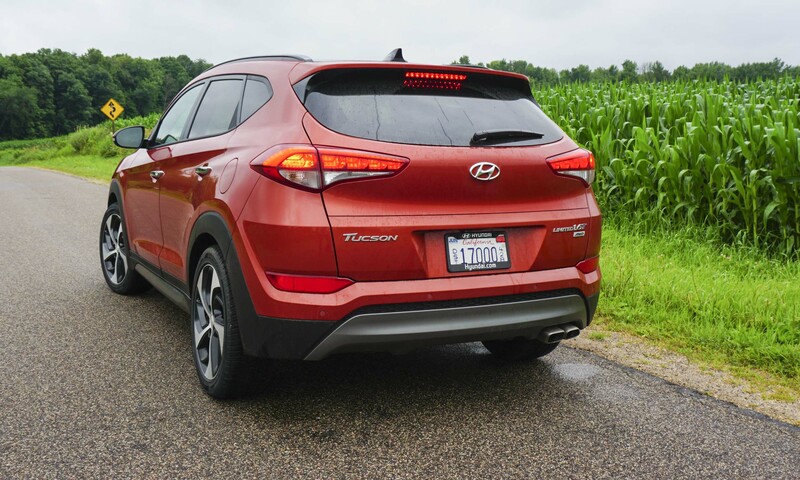 Bottom Line: Hyundai’s new Tucson is a serious contender in the highly competitive crossover segment. Pros: Great new design, powerful but efficient new powertrain, comfortable and refined interior. Cons: SE engine low on power.